Hominid Up by Neil Shepard, Salmon Poetry Press, 88 pages. $21. 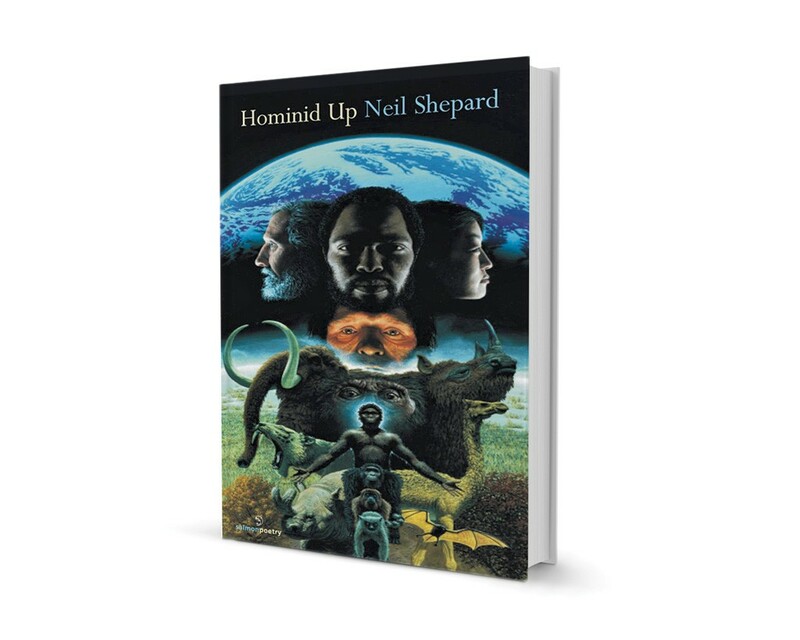 If the words "poetry of place" make you feel like dozing off, the depictions of Vermont in Neil Shepard's new collection Hominid Up should rouse you. There are no placidly life-affirming pastoral landscapes here. and ridgeroads to get there. local color washed, rinsed, blanched. By the end of the poem, we may find ourselves reinterpreting its title: "The end of Vermont" is not a place but a point in time, and that time is nigh. There's a distinct "bite and sting" here — a phrase Shepard uses to describe his eponymous method in the collection's final poem, "Blackfly Poetics." But, if Shepard excels at being a local variant of the gadfly, Hominid Up as a whole is no polemic about the state of the Green Mountain State. First, as the title's play on the phrase "man up" indicates, Shepard's reach and concerns are considerably wider than Homo vermontensis. Of the 48 poems here, only the last 13 appear to have Vermont settings; among the other places that Shepard evokes in crystalline detail are Manhattan, the Deep South and the Maine coast. Second, while some of the poet's messages aren't subtle, his language and imagery aren't those of the soapbox orator. The author of five previous poetry collections, Shepard founded Johnson State College's Green Mountains Review and is retired from longtime directorship of the school's writing program. His turns of phrase can be graceful, clever or both. In "Ersatz Cats," city cats kept indoors have "lost / the knack for that hacksaw from the prison / of the literal." In "Am I Blue," a motif of blue-state politics bleeds into one of blue notes (several of these poems first appeared in Brilliant Corners: A Journal of Jazz & Literature). In "The Preparation," a phrase turns itself inside out: "in the outcome / out the income." In "Connecticut," Shepard adorns a pitiless snapshot of human-driven climate change with an ironic allusion to Keats' imagery of the unspoiled new world. While the title poem imagines the primitive man within the civilized one, individual human foibles aren't Shepard's primary subject. Rather, he weaves the people of his poems into intricate tapestries of place that contain threads both dark and light, old and new. A "Woman Crossing Broadway at 106th" becomes the fierce focus for a word painting of an urban thunderstorm. In "Tracking Birds and Gullah Speakers," a South Carolina museum curator gives voice to a whole history of oppression. And in "Lobster Pots," hungry tourists become representatives of "greed and profit and marketshare." While this poem has its thudding notes (a play on green landscape and green money; an instantly dated reference to America's preoccupation with "the tiger blood of Charlie Sheen"), its descriptions of pervasive, willful denial ring true. We hominids, it seems, are endlessly ingenious when it comes to ignoring the history — and sometimes the dire prophecies — that are written on our landscape. That message is brought home by a Vermont-set poem called "Excoriating Ghosts," in which Shepard gets a lesson from an old-timer about the history of his Johnson home. The conclusions he reaches are nearly as damning as those of the more polemical "Hayden's Shack" — yet more elegiac and elegant. After his glimpse of the village's hardscrabble beginnings, the poet sets aside his private landscaping ambitions and acknowledges, gazing out at the town cemetery, that "this land's been spoken for." But an equally revelatory glimpse of its future is forbidden him: The night sky of June is "bright enough / to see ghosts by but not bright enough to see / beyond them toward the land's future shape." The original print version of this article was headlined "Quick Lit: 'Blackfly Poetics' From Neil Shepard"